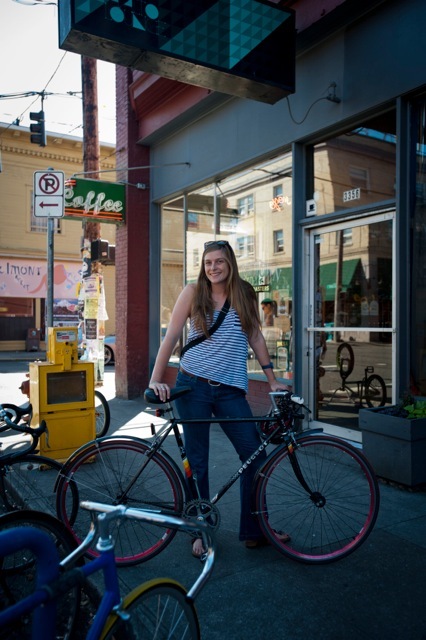 The Culinary Cyclist centers on the intersection of food and cycling and the role they play in your life. Why are the two so intertwined in the good life? I think it all comes down to choosing to live a more simple life. If you choose to ride your bike, then you’re choosing a slower mode of transportation, one that’s dependent on your own energy. When you choose to cook, and even grow, your own food, you’re making a similar commitment, one that says no to things like packaged and microwave dinners. It’s a conscious choice to make time for these activities because you know that they make you feel good. There’s no denying that making food takes time. But if you choose to do so it’s because you believe it’s time well spent. Same thing for time in the bike saddle. 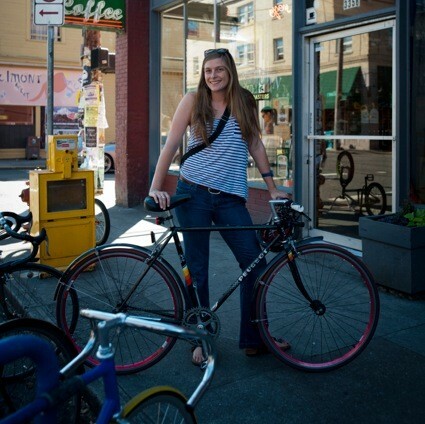 You know it’s funny because I never thought “I should write a book about food and bikes!” It was only in having a conversation with Elly Blue about a variety of projects that I suggested she do a book on food and bikes. She looked at me and said, “why don’t you write it?” If you’re a writer you know that there’s nothing better than having a publisher propose a topic to you. And a topic that you happen to be really excited about it. As I started to work on the book, I realized that The Culinary Cyclist was already in me, that it was a book I was meant to write. So I have to thank Elly for pushing me to do it. I think a lot of people have a romantic image of Paris as a sublime cycling city. What’s it like riding a bike there? It’s a hot mess. Anyone that has ridden in a big city (and I’m talking big like New York City big) will know what I mean. There are cars, there are taxis, there are buses, there are Vespas, and then there’s little ole you. You have to be aggressive and always be on guard. But that being said, it can be really fun. And sometimes you find yourself on a small Parisian side street that you never knew existed. And let’s be honest, for as much as I can complain about biking in Paris, there’s something really special about riding over the Seine at dusk when the golden light is just right. So I make it a point to get in those more “romantic” rides every once in awhile to remind myself that it’s not just a bunch of taxi drivers that want to run me over and ruthless pigeons. 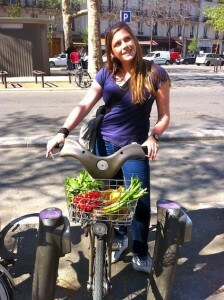 Paris seems like an excellent city for someone loves bicycles and food. What’s your favorite way to combine the two in your adopted home? Bike, market, coffee, bike, market, wine, repeat. If you were to impart just one lesson from your book that people need to know, what would it be? Eat real food. It really is that simple. Forget about calories, forget about what’s healthy and what’s not. Just choose real food. You’ll be better off because of it. 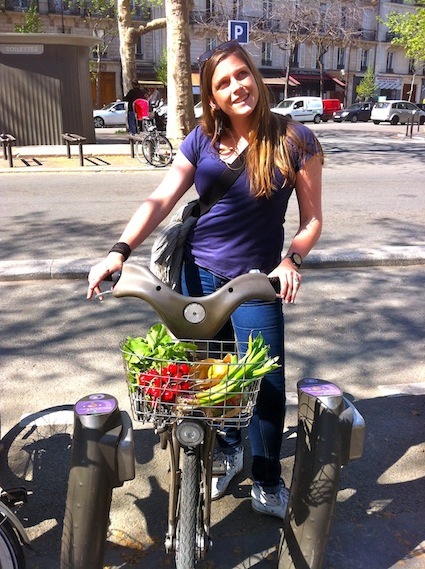 This entry was posted in Cycling Media, Interviews and tagged anna brones, bike food, cycling cookbook, cycling in paris, cycling recipes, foodie underground, real food, the culinary cyclist. Bookmark the permalink.